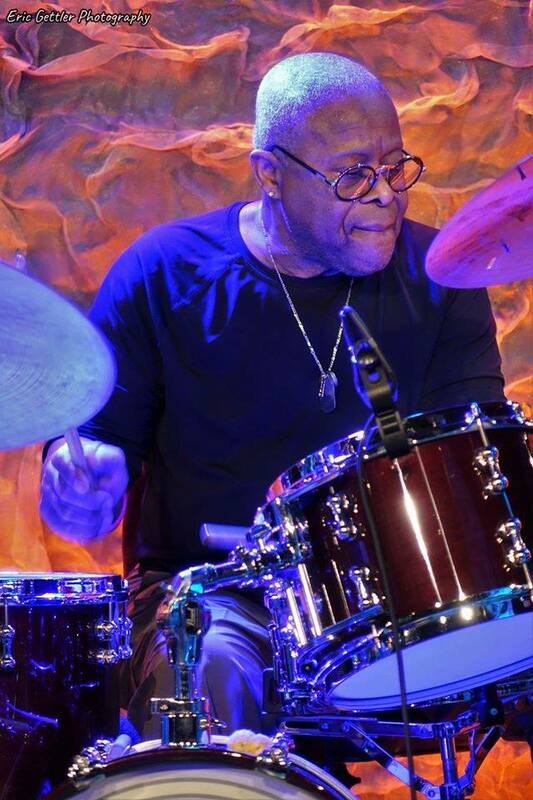 Legendary drummer and founding member of the Allman Brothers Band, Jaimoe and his Jasssz Band play American music. They combine elements of Jazz, Blues, Rock-n-Roll, and R&B into a unique blend that captures the spirit and stirs the soul. Their repertoire ranges from new interpretations of classic tunes, as well as original songs that are classics in the making. Jaimoe’s Jasssz Band features Jaimoe - drums, Junior Mack - guitar and vocals, Dave Stoltz - bass, Bruce Katz - keyboards, and some of the finest horn players of our time, including Paul Lieberman - sax, flute, and piccalo, Kris Jensen - sax and Reggie Pittman - trumpet. Check out the rest of the website and see what the Jasssz is all about. Jaimoe, man of many names, and one of the original six band members, has combined forces with fellow drummer and percussionist Butch Trucks in a million subtle, driving, playful, and energizing ways to keep the music on track and flowing. Jaimoe himself contributes the following biographical insights: This is Jaimoe. No, I did not play at Monterey. I played with Otis Redding 4/18/66 through 9/5/66 in the band that did "Otis - Live at the Whiskey A-Go-Go". I joined that band a week after that record was recorded. A very good friend of mine, a very good sax player and a hell of an organizer, Donald "Cadillac" Henry, was a great reason for me getting that break and a lot of others, right up to the fact of the reason I was in Macon was because Donald told me to go to Macon. Phil Walden was putting a recording studio in Macon which was Capricorn Records. Phil Walden and Otis Redding had a company called Redwal Music.